We have already seen lots of Launchers with Android. Personally I have experienced HTC Sense, Samsung TouchWiz, MotoBlur and Xperia Launcher. Beside that I have used Facebook Home, Nova launcher, Holo Launcher and Launcher 8 on my Galaxy Note and HTC One V. These Custom Android Launcher has different animation and user interface and thus it plays a bigger part of your Android experience. How Android Home Screen or Launcher Works? Basically, when you tap the Home button on your Android Phone or Tablet you see the home screen. 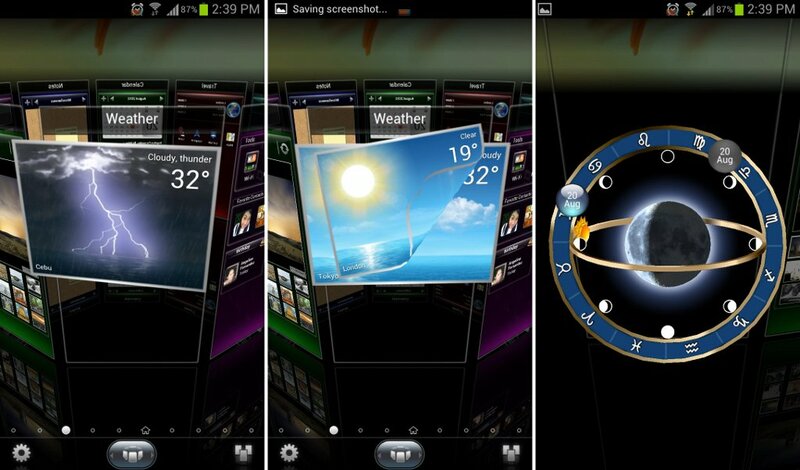 One the home screen there are app shortcuts and widgets as customized and placed by you. But, on Android the Home screen is a separate app which is different when you see other mobile platforms like iOS, Blackberry and Windows Phone. This is a great advantage and an app can be customized to have a different feel and user interface. If you have multiple launchers installed on your Phone or Tablet you can always change the user interface and get another look. But installing too many launchers slows down the system. You must choose the best launcher app depending on your device. If you have a new device with a powerful multicore processor and memory then you can choose some heavy launchers like Nova or Apex. One the other side people who have limited RAM and processing power on their device should choose launcher apps like Smart or Lightening. You can install Launchers like any other app from Android Play store. After installing when you tap the Home button on your device, it will bring up the App chooser splash screen that will tell you choose any one of the available launcher [shown below]. You can set any launcher app as the default. If you are not happy with the launcher either you can uninstall it or change the default. To get the default launcher back again, just go to settings>>App. Now, tap on the current launcher in the list running apps and tap on the default button. There are lots of launchers on Play stores and XDA developers forum. On Play store you can find Launchers like Facebook Home, Nova, Holo etc. If you need launchers ripped from latest devices like Xperia Z, Galaxy S4 and LG Optimus G then you can check XDA forum threads where developers are taking the launchers of this phone and optimizing them to run on other Android devices. I will be suggesting few of the Launchers I found are best for all types of users, you are always free to suggest us which one you like. 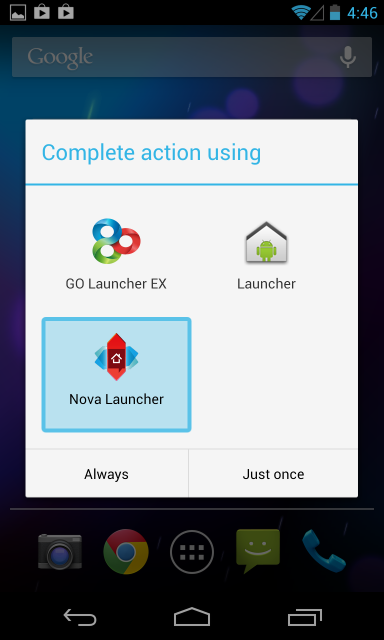 Nova Launcher: Nova is the most widely used and talked about a launcher app for Android. It provides the general feel of Stock Android. There are experienced developers behind this app and thus its regularly get updated and compatible with a wider range of devices. There are lots of functionality packed inside this launcher and it’s hard to explain everything here. You must check the play store link below for more details, Nova launcher is free to download and use. If you want some extra functionality then purchase the Nova Prime upgrade which costs $4. Apex Launcher: After Nova Launcher, this is the second option most people are looking. It keeps the same default Android look but customization features are more than Nova launcher. If you have a new device then you must try this launcher. Apex launcher looks good in Tablet mode as well. You can find lots of control on launcher settings and thus it’s easy to customize and use. Chameleon Launcher: This is a premium app available for $3.99 on Play store but believe me it’s worth it. 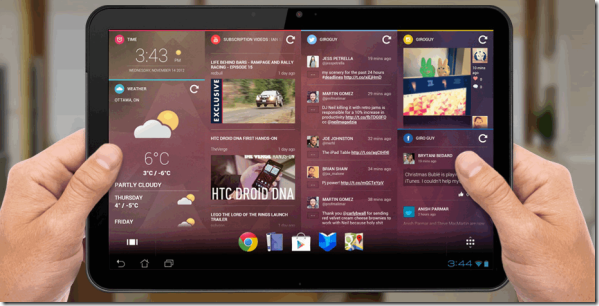 Chameleon Launcher is best for Android Tablet users, it comes with HTML5 based widgets like instagram, Facebook, twitter which look awesome on homescreen. Mix it with an awesome icon pack and wallpaper and you will get the most awesome user interface available without installing a custom ROM or Mod. Smart Launcher: After Apex, we landed on Smart launcher and then it become the best launcher for my old devices like Galaxy Y and Nexus One. 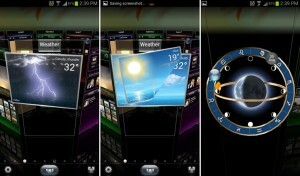 Its lightweight, fluid and elegant look attracts lots of users thinking that I have installed Ice Cream sandwich on my device. Its low processor footprints and memory usage have further delighted me and if you pair it with some of the Icon packs and widget it will be an awesome interface. 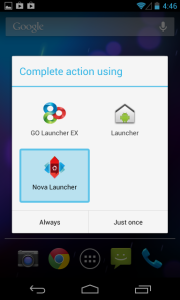 Go Launcher EX: My friends and readers are always about getting a 3D look on their Android. I suggest Go Launcher EX, it supports 5000 times and HD Go widgets. There are lots of options and cool effects. But always remember that more eye candy and animated a launcher get, the heavier it will be for the system to handle. Although, developers have optimized the launcher but still performance depends on your Phone’s Hardware. If you have an old device, it can turn into a muddy slugging interface. Launcher 8: As the name suggest it totally represent the Windows 8 User Interface. It’s cool to have it on your Phone and show off a Windows Phone interface. 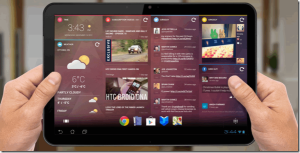 Unity Launcher: If you want to make you Phone looks like Ubuntu Mobile OS then Unity launcher is built to do that. There are lots of functionality and animations that represents the upcoming Ubuntu Mobile Phone interface. iPhone 5 Launcher: If you want an iPhone like Interface on your Android then try iPhone 5 launchers. It will change the screen look and there are lots of users online for this. On play store more than 1600 users have reviewed it and it got a rating of 4.5 star. You can matchup with an icon set pack with the launcher to get a much enhanced experience. Beside that we have recently added a guide about how you can use Xposed framework to customize your Android device firmware.